I have a friend who has carried rocks up a mountainside in Nepal to build an elementary school. She’s accompanied shipments of books and computers to Cambodia and created revenue-generating partnerships for widows and orphans in Uganda. …and so when she tells me the party is Friday, April 15th, 6:00-9:00 p.m. at 1519 S. 1500 E. in Salt Lake City (15th Street Gallery), I’m there. 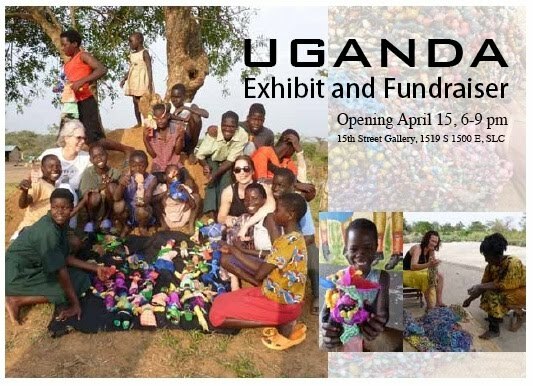 This Friday seven local artists are joining forces with Berr Beads and a children’s art project organized by Trent Alvey in cooperation with Asayo's Wish Foundation to put on an art exhibit and fundraiser with proceeds going to benefit orphans in Uganda being sustained by Asayo’s Wish Foundation. Ugandan children have created dolls with fabric and native elements like seeds, twine, etc. which will be for sale with 100% of the proceeds going back to Asayo’s Wish. You may have seen gorgeous, colorful paper bead necklaces being carried in boutiques and shops like Shade. These “Berr Beads” (Berr means “good” or “I am well”) are hand rolled by widows and single mothers in Kaberamaido, Uganda who have joined together to create a self-sustaining cooperative. 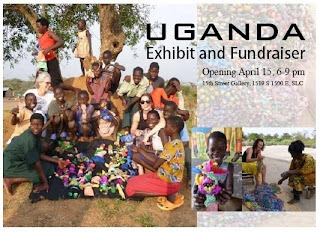 Berr Beads will be having a blow-out sale at Friday night’s fundraiser with 100% of the sales going back to economic development programs for the widows. Finally, local artists Susan Beck, Justin Diggle, Steven Larson, John Sproul, Trent Alvey, Jenevieve Hubbard, and Lenka Konopasek have contributed works of art with 20% of the sales going to support Asayo’s Wish Foundation. A highlight of the night will be an address from Sarah Asayo herself. Sarah’s story is remarkable. Uganda has been torn apart by decades of civil war, disease, violence and poverty. When Sarah was a girl in Uganda, her family lost their father and their home. The family moved from place to place, sleeping on floors and going days without food. They were some of the fortunate ones in that they eventually made their way to London and created a new life. Sarah was able to get a university education and eventually move to the United States. Now she works to provide for impoverished orphans in Uganda who face some of the same life-threatening circumstances that she did. You do not want to miss this opportunity to hear from a remarkable survivor and humanitarian. This sounds like a great event -- I will likely be there. Hope to run into you! 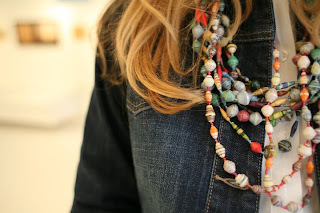 A friend recently gave me a rolled-paper bead necklace (I think it was from Uganda). Very cool. I went and bought a beautiful 3-strand necklace, but unfortunately didn't see you there. Thanks for letting me know about it, though! 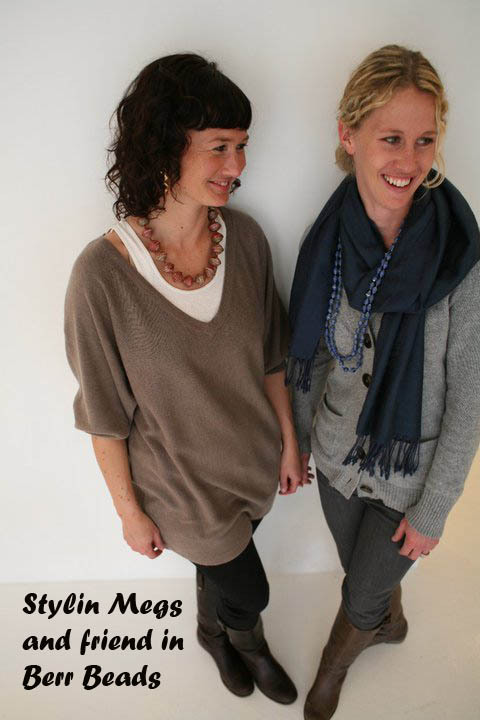 See Us on Studio 5!